My first born is now settled and thriving in college. My second has begun a brand new middle school and is navigating it with grace. I began working at wonderful local company- my first job outside of home in 18 years. We came this close to moving away and renting our farmhouse... but we're staying, thank goodness! My mother is selling her barn. THE BARN! Our beloved barn. The open house is in two days, on Saturday, which is why I chose now to return. To breathe. To let go. We all have loved that barn, haven't we! 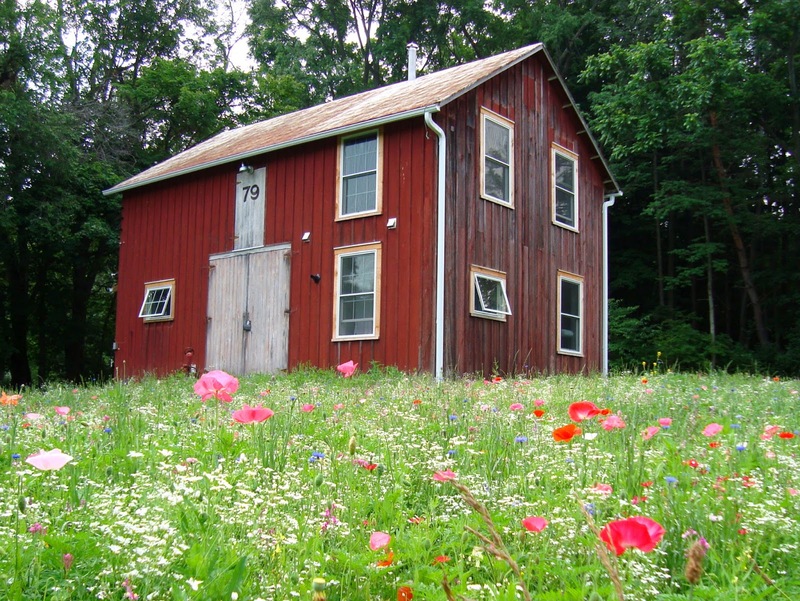 My amazing mother thoughtfully restored it from an old abandoned building sitting on cinderblocks to the beautiful art studio and home it is today. It's been our family gathering place and the backdrop to so much mother and daughter creativity for the last ten years. All is well, and I can't tell you how much I've appreciated your personal emails with questions and concerns for my whereabouts. Instagram has hinted at the lovely time I'm having, but not everyone checks there and I'm sorry for my silence here. Life is moving swiftly along and time feels a bit surreal these days. Blogging has taken a temporary back burner as I've focused on living without documenting. Since I started maya*made, eight years ago, I've kept writing steadily- even during the ups and downs of life. This particular moment in time called for my complete focus and a pause, as I take on yet another transition. A new chapter is unfolding for my family. My son, my first born, is preparing to go to college in a matter of months. The spring semester of senior year is such a crazy time in both a parent and student's life. Just like birth- you can hear other mother's stories, but until you experience it for yourself, it's impossible to know how it will impact you. As the celebrating of acceptances and consoling over denials of schools unfolds, the true taste of having an adult as my child has emerged. I'm embracing the emotions and complexity of it all, while preparing for his journey from the nest. And so we came home to California and my family for the first time in 4 years. It has been the perfect way for us to all feel secure and held at this pivotal moment. 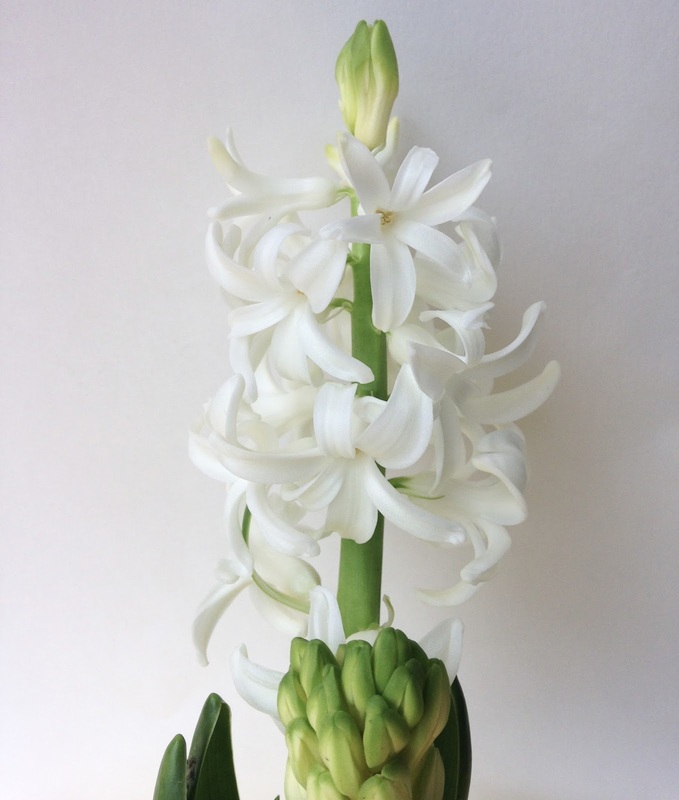 I will return to blogging on a regular basis next month when we are settled back into the east coast and spring. I am forever grateful for your interest, support and love. I made this last night, and it's my new favorite soup. Topping it off with fresh radish sprouts made this root puree feel fresh and springy, too. I didn't measure, but I'll share with you the ingredients and steps to try to concoct something similar yourself. Because you have to! It's just so good! Saute ginger and garlic in olive oil. Add carrots and water and salt. Cook until soft. Transfer to a blender and add the rest of the ingredients. Blend until smooth. Taste and determine if you want to add a little this or that. Serve with freshly ground pepper and radish sprouts. So simple, but so delicious! 1. Jennifer Ackerman of Craftsanity interviewed me for her podcast series a few weeks back and it's now live. I shared about the process of creating my second book and revealed it's evolution. I hope it gives some insight into why and how I channeled a huge life challenge into something positive. So with a bit of a vulnerable "gulp"- I invite to grab a cuppa and give a listen. Here's the podcast. Thanks Jennifer, for a lovely talk! 2. 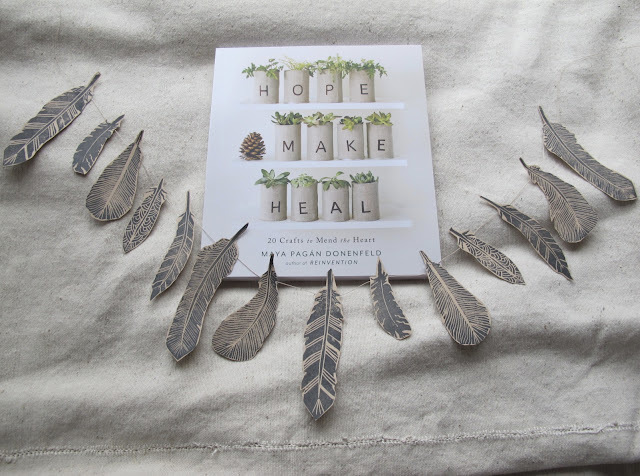 There are now signed copies of Hope, Make, Heal in my Etsy shop! You can find them here. And a local reminder that Ellen Abrams and I will be hosting an Equinox workshop on Sunday, March 20th. The winds whipped up last night, shaking the windows and howling out as they circled around the house. At dawn, the world seemed to be swept clean as I headed off to yoga. My teacher spoke of the importance of having an anchor when a storm blows in. It's a message I know well, but I smiled sheepishly from my mat because I'm always grateful for a little kick in the pants reminder. You see, February is typically my challenging month. It's been a little more than four years since my life turned upside down- I truly feel wonderful most days, but these deep wounds are always tender at anniversaries, don't you think? I chose to slow down internet-wise for a little while to allow for some quiet. And some yoga. And breathing. And smoothies. And making stuff. All of my favorites. I didn't even realize I was anchoring when the winds began to blow a few weeks ago... I just do so naturally and automatically now. This is a direct result of having a tool kit for survival at the ready. 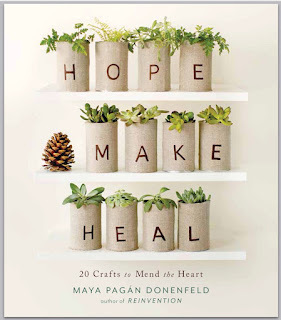 I'm amazed that Hope, Make, Heal continues to be my very own guidebook, and I so hope it helps some of you. 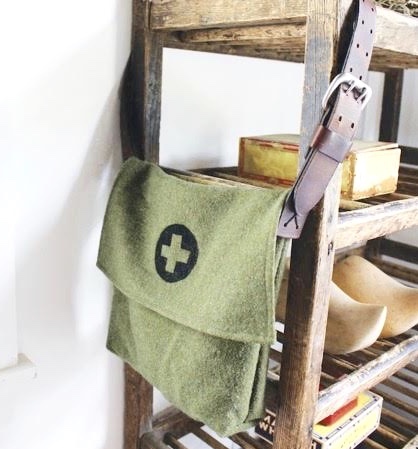 There are three crafts up on the Well and Good site directly from the pages that might just be the something you could use right now, including the instructions for making the Survival Satchel below that I love so much! So happy to March forward with you... into the wind we go! and craft night! 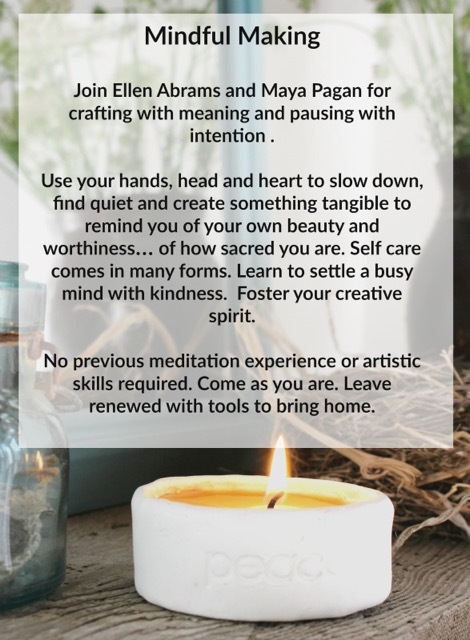 There will be opportunities to share and talk about meaningful making and coping with loss and then create items directly from or inspired by Hope, Make, Heal. This event is free and open to the public. A small donation is suggested to cover costs of the materials provided. On the other side of my beautiful lake (Cayuga Lake of the Fingerlakes) is a pretty little village built directly on the shore called Aurora. Right before you arrive, a sign for The Aurora Shoe Company can be seen from the road. I'm so excited to finally be wearing a pair of Aurora Shoes. How lucky we are to have THIS handmade shoe company in our area. I've been in Ithaca for 15 years, and it seems like everyone has a pair. And if you look on instagram at the #aurorashoes you'll see they're popular all over the globe! They are so well constructed that they last for years and, as I'm experiencing first-hand, get sweeter with every step. They're so comfortable it's all some folks will wear! Aurora Shoe Company was one of maya*made's first sponsors back in the day when this blog used to have sponsorship... but I'm embarrassed to say it's taken me years to finally go check out their brick and mortar workshop. What a treat for someone who appreciates the creative process. David, the owner, gave me a tour of each step that goes into building a shoe. From stretching the leather to cutting the straps, He and his sister, Alyssa (who is does all the marketing and photography), grew up down the road from the shoe company. David bought his first pair when he was 13. Years later, when he was working as an industrial engineer, and wishing to relocate his family back to his childhood town, there was word that the Aurora Shoe Co was for sale. It was an exciting opportunity, and he took it. I love stories of small business bravery! Under this new ownership, the shoes are still lovingly crafted by hand by most of the very same folks that have been making these tried and true shoes for 30 years. David brought in a few new modes of efficiency(engineers are so good at that!) and Alyssa has worked to create an internet presence with lovely photos... but so much of the what has made these artisan shoes such a staple remains the same. In today's fast-paced world of consumerism, it's always inspiring to see a business model based on slow, intentional and quality craftsmanship. Here are some pics from the tour and several courtesy of Alyssa. After observing the fascinating process of leather stretching and examining the vintage shoe making tools, I was invited to try on a few different pairs and go on a photo shoot with Alyssa. Dreamy! It was windy with flurries, so we only lasted a few minutes out by the lake before we ran into the Aurora Inn to warm up by the fire. Here is a link to more pics of the photo shoot and you must see their new boots! And if you love to enjoy farm to table food when you wear your handmade shoes do check out the link to the menu at the inn. It's a favorite special occasion spot for me, for sure. Thank you David and Alyssa for keeping alive such a lovely handmade business. Thank you Aurora Shoe Company for such a fun morning! Ellen Abrams and I have been friends for many years... raising our children in the same small community and always wishing for more time together. As a marriage and family therapist, with an established meditation practice, Ellen began offering weekly groups for people working through grief a few years back. In her lovely words- she began running "trauma informed mindfulness groups as a place to explore oneself through the lens of kindness and to develop, with support and connection, practices that cultivate a positive sense of self, equanimity, and nourishment". I was writing Hope, Make, Heal and deep in the process of examining my own loss and how it impacted daily living. I signed up. Right away! It was a game-changer. With her guidance, I discovered new ways of finding peace within, even during the most turbulent times. What a useful tool... for everyone. I invited Ellen to contribute meditations to the book I was writing. And she did! They begin each section. Collaborating with someone you love and respect is always exciting... so we're not stopping! We're joining forces to merge mindfulness and creativity into a live workshop. It's going to be so good! What a wonderful way to celebrate the first day of spring! We will make Open-hearted Journals, Lights for the End of the Tunnel and/or Inner Altars. These projects from the pages of Hope, Make, Heal will beautifully support a new (or renewed) meditation practice. All supplies will be provided. Additional personal items will be suggested in an optional materials list. Be strong- eat for power! "The act of healing will look different for each of us. There is no need to rush—nor a clear timetable for traveling through the unique terrain of each loss. Death of a loved one, a traumatic life event, or deep heartbreak are all wounds that have the potential never to leave us. The scars remain to remind us of what we’ve felt, whom we’ve loved, and how we’ve grown. They become part of the fabric of our lives. I sew. A lot. The metaphors that surround needle and thread seep into my thoughts often. The British proverb “A stitch in time saves nine” is a favorite. The meaning is simple: sew up a little hole with one stitch now so that it doesn’t expand and turn into something greater that may need nine or more stitches. It’s a saying that refers to doing things well the first time and not putting something off until later. Healing well from the start is an unhurried and deliberate mending. The frayed and broken fibers of our stories can almost always be woven back together, but how we choose to repair and patch ourselves up determines quite a bit. A quick fix is sure to leave you weak for unraveling. This is true in the literal sense, such as stitching up a hole in a seam. Why wouldn’t it also be true for our souls? I believe that taking supremely good care of yourself will strengthen every muscle— including your heart. You’ll be ready for that moment..."
This is an excerpt from Hope, Make Heal currently featured in Spirituality & Health. Click here to read the entire article and how green smoothies were a life-saver, plus get the recipe for this favorite of mine. Ahh! You know how much I love when a new month is on Monday- so fresh and good! The above picture is from February 1st- three years ago. I remember just how fragile I felt as I carried those stitched paper map hearts into ithacamade for a February window installation. Giant heart maps- I was holding every metaphor with a death grip in those days. My internal GPS seemed to have worked- and I found my way. Happy February- I'm blowing a kiss to all of your tender hearts. I announced the winner of the feather banner and Hope, Make, Heal on instagram just now. Congratulations @artytarsh! There will be more instagram giveaways coming soon. But for those of you not on instagram- I heard your messages and will find a way to include you, too in the future! Hello lovely friends! I'm still here- just spending most of my time over at instagram these days. I do hope you'll join me there- it's quite cozy and I'd love to stay connected with you. In fact, I'm hosting my first instagram giveaway over there right now. I'm offering a signed copy of Hope, Make, Heal along with the original feathered banner from the last chapter. I will be tucking in a surprise or two, as well. Heading to my studio right now to work on a little something for the sweet winner. If you'd like to enter, hop over! "Welcome and thank you for coming to celebrate with me today. 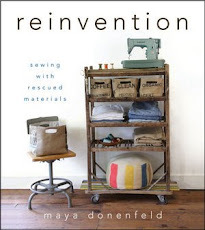 My first book, Reinvention, was published at the beginning of 2012. It was not a time for celebrating. At the exact moment that it was coming off the press, I was reeling from the unexpected and very sudden loss of my 16 year marriage. The last four years have been a wild ride filled with hope that I would survive the pain, the making of a new life for my children and myself, and then the healing of the places that had been broken. That grieving and rebuilding process evolved along side this second book that I hold in my hands today. Hope, Make, Heal was published exactly 10 days ago and I couldn’t be happier and more ready to share it with all of you... to celebrate!" I introduced my dear friend Ellen Abrams (sadly not pictured here- send me pics if you have them friends), who contributed the meditations to each section. Ellen is a local therapist who also leads Mindfulness Meditation groups for people who have experienced trauma. I was attending it during the writing process of the book and knew it was an important component to include. She led a beautiful meditation and then there were paper feathers offered for writing intentions on. Templates for six of my feather prints are located in the back of the book for using in various projects! Then it was on to signing... Buffalo sold out, but have let me know that more copies will be arriving this week.